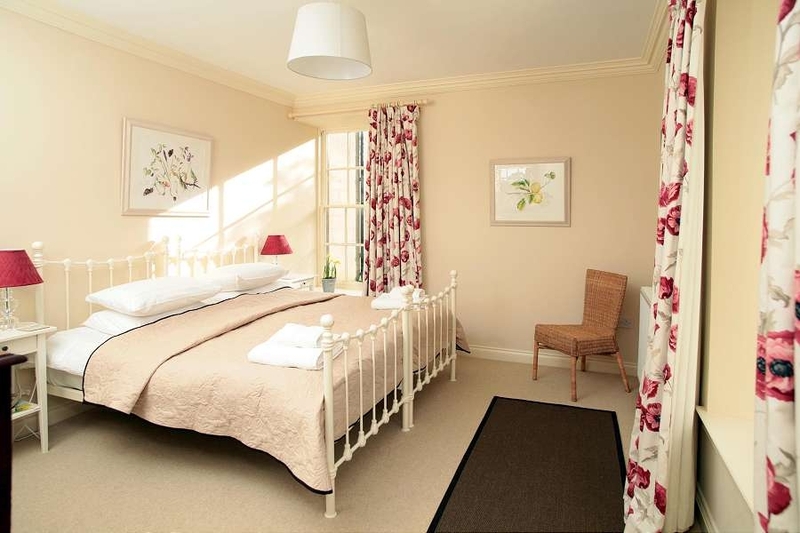 May is undoubtedly one of the best months to holiday in Dumfries and Galloway when it comes to gardens and colour. 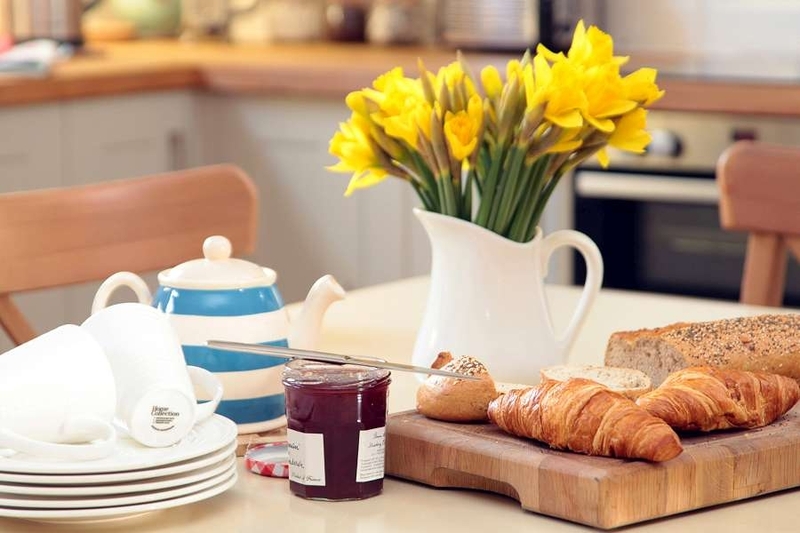 The flowering season, which starts in February with the arrival of the snowdrops in the gardens, is swiftly followed by the daffodils and by May, it rises to a wonderful crescendo with masses of rhododendrons, azeleas, magnolias and bluebells. This corner of south west Scotland benefits from the warmth of the gulf stream and as a result many exotic plants and species flourish here that you wouldn’t see in other parts of the country. The colours on display are truly spectacular. 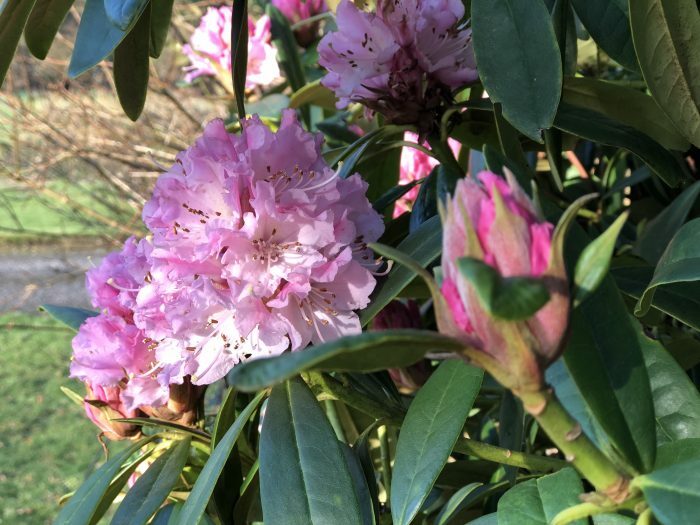 The gardens here at Corsewall Estate Holiday Cottages are currently bursting into life, starting with the Christmas Cheer Rhododendron, which braves the winter in February and sometimes as early as December or January. 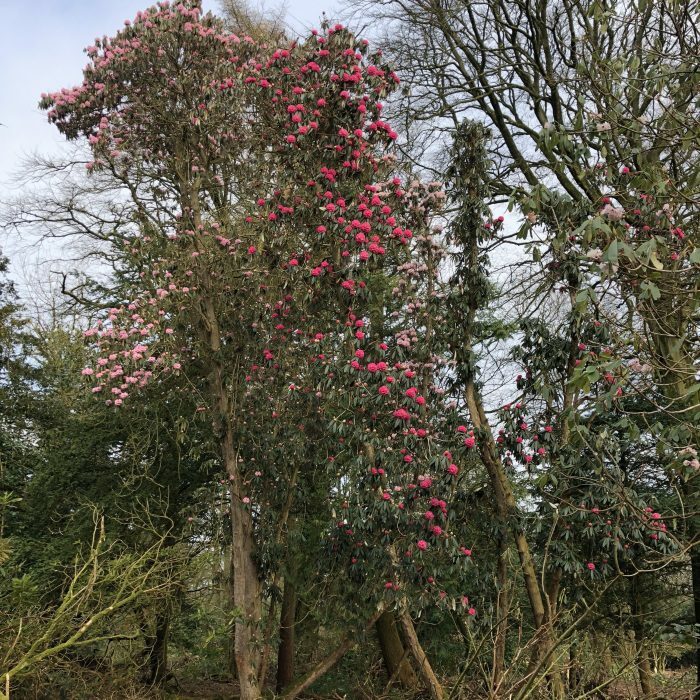 We’ve been doing a great deal of work tidying up the woods around the estate and found these two amazing Rhododendrons in the woods just beside Stables Cottage, which had been completely hidden from view until now. We’ll soon have labels for all our significant trees and shrubs, so in the not too distant future I’ll be able to boast about the names of each particular species in Latin! This Rhododendron is found in the woods beside the zip wire and climbing frame. The brick building you can see underneath it is left over from the war when the house and the grounds were requisitioned and became RAF Corsewall. 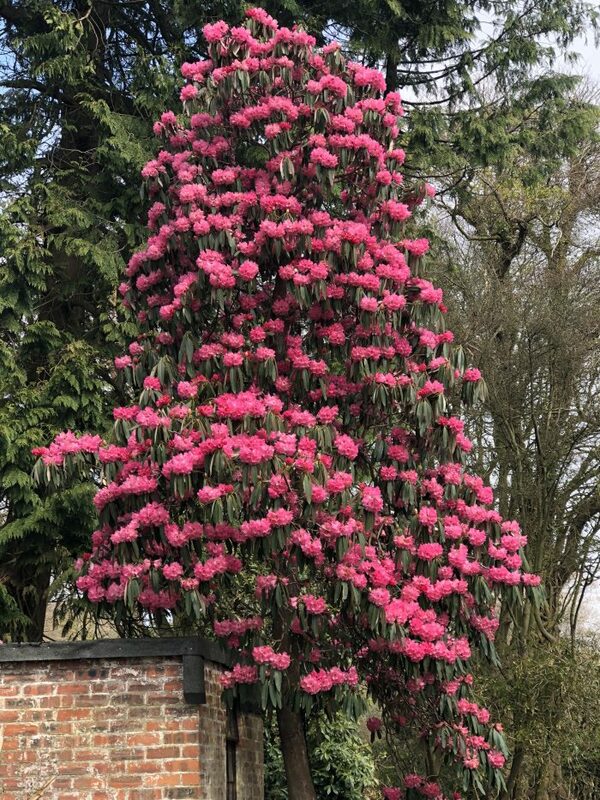 You’ll find this Rhododendron on the main drive into Corsewall Estate. It was planted relatively recently by Angus’ father, Michael. 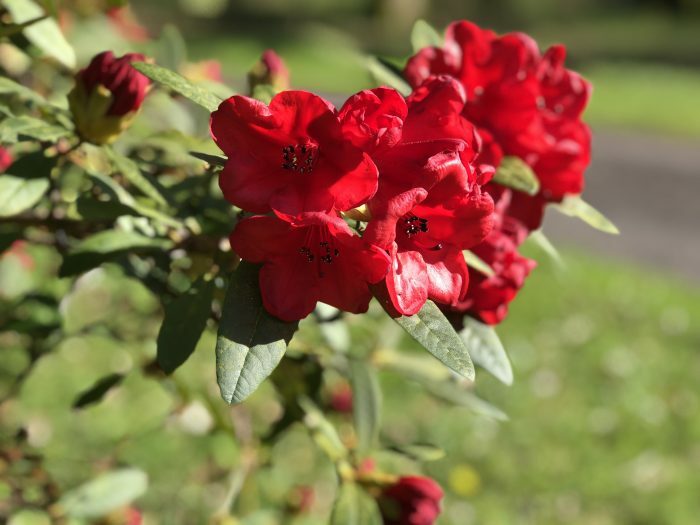 The Scottish Rhododendron Festival is running throughout April until 31st May and guests staying at Corsewall Estate Holiday Cottages are spoilt for choice when it comes to gardens to visit. 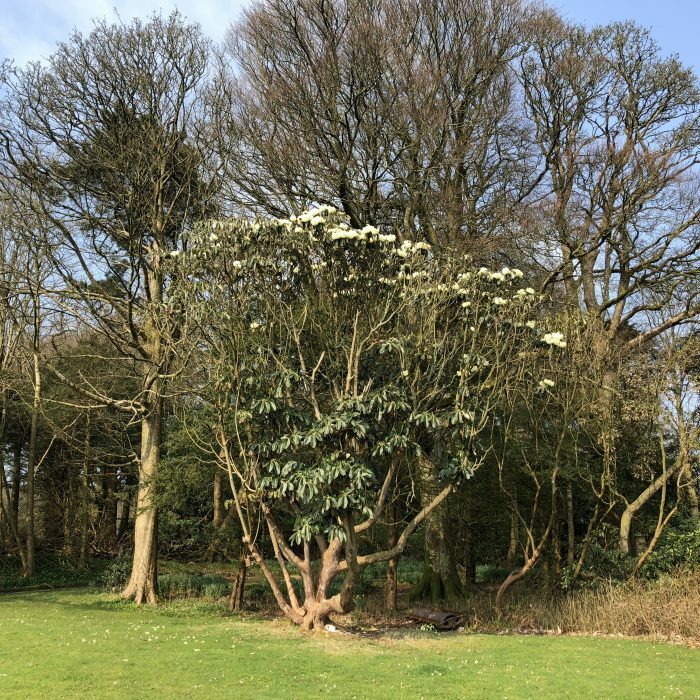 Logan Botanic Garden, which is 30 minutes from our cottages at Corsewall, is a wonderful location to see a wide range of exotic and fragrant rhododendrons and others too from camellias and magnolia and a wide range of exotic foliage and flowers too. Castle Kennedy Gardens, just a 15 minute drive from Corsewall, has a glorious display of Rhododendrons. You can join the head gardener on one of his guided tours to learn more about the gardens – there are a number running throughout May. Glenwhan Gardens at Dunragit, 20 minutes from our 4-star holiday cottages at Corsewall Estate, is also open for the Scottish Rhododenron Festival. This is quite an amazing garden – created just over 30 years ago on moor land by Tessa Knott. 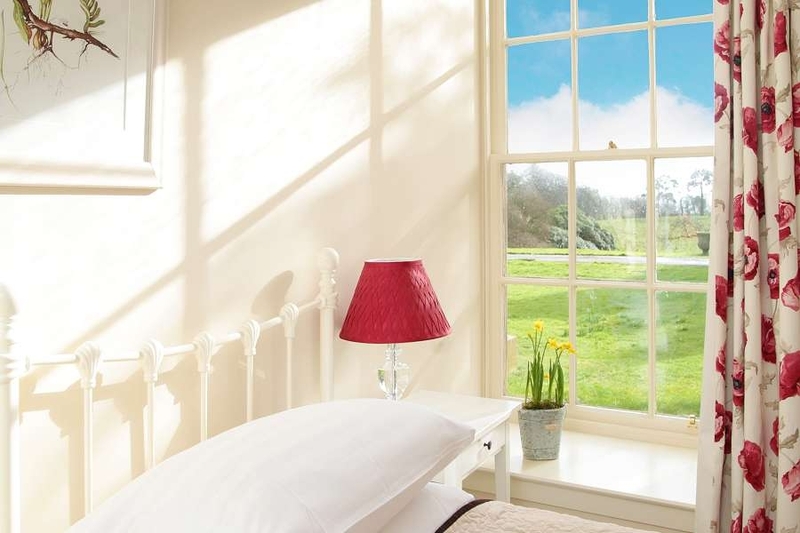 As well as a fabulous display of Rhododendrons, this 12 acre garden is definitely worth a visit for the arboretum and tree trail, the water gardens, stunning sea views over Luce Bay, the sculptures and of course all the plants, shrubs – there are over 160 different species. As with all the gardens in this part of the world, many are from the Southern Hemisphere, which flourish in this delightful corner of south west Scotland thanks to the Gulf Stream. 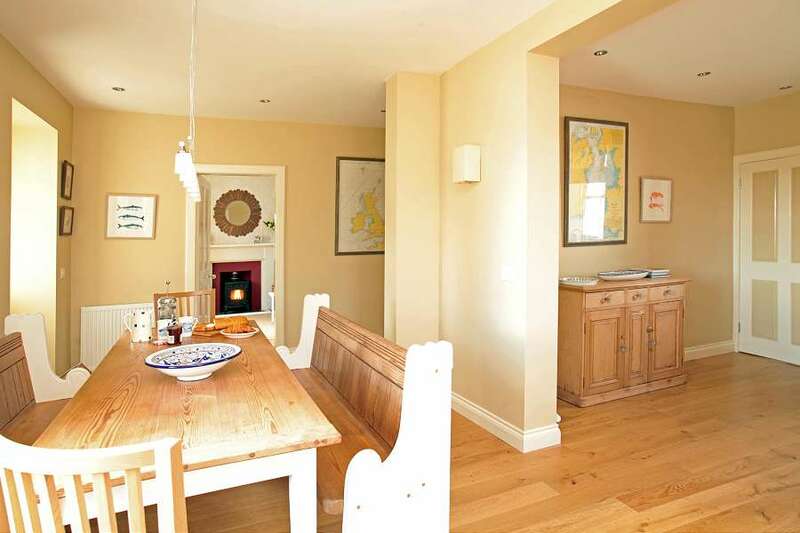 We still have good availability in May for self catering breaks in Dumfries and Galloway, in particular at Stables Cottage (sleeps 4) with prices from £249.05 for a 3 night stay and High Clachan Farmhouse (sleeps 2-8) with prices for two people from £248.62 for 3 night stay. 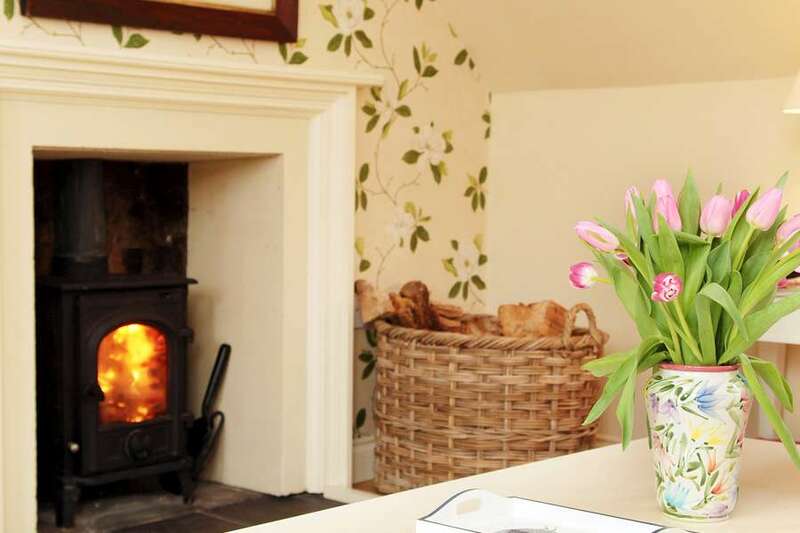 Both 4-star cottages have wood burning stoves to keep you cosy at night after sun down. 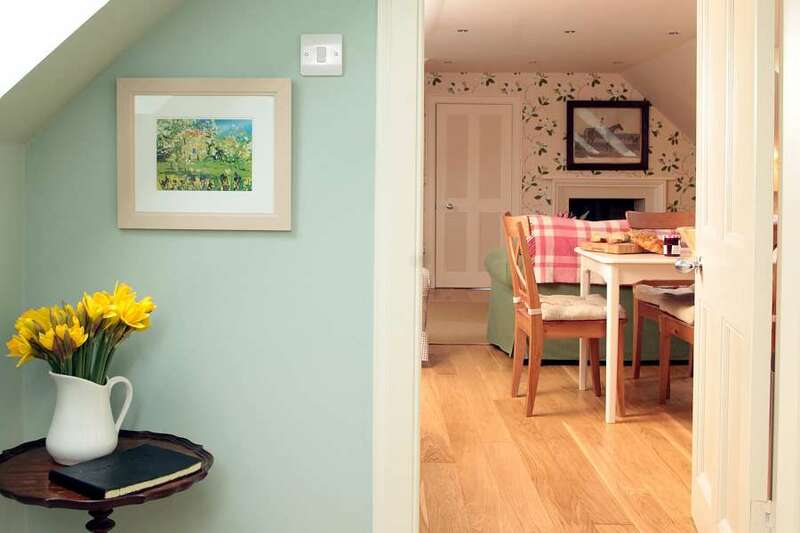 Dogs are very welcome at all of our luxury holiday cottages – there are lots of lovely walks around the estate and down to the sea for them and their owners to enjoy.